Toronto Airport Taxi is a great airport taxi service company providing Niagara-on-the-Lake Airport Taxi Services for Niagara-on-the-Lake and surrounding communities, offering full service Airport Transportation to and from Toronto Pearson International Airport, Hamilton Airport, Buffalo Airport, Niagara Airport, Toronto City Centre Airport, Buttonville Airport and other Toronto regional airports. It doesn't matter whether it's a trip to the airport you need from Niagara-on-the-Lake or a magical evening out on the town, we want to make sure you are so comfortable and pleased that you book with us again and again. That means your every need is our top priority. Don't drive to the airport... book our Niagara-on-the-Lake Airport Taxi! You'll travel in luxury and avoid the hassle of parking garages and battling traffic. Be sure to check out our great one way flat rates for a Taxi to the Toronto Airport from metro Toronto and the GTA. 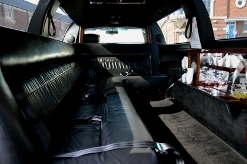 Niagara-on-the-Lake Airport Taxi also offers limousine services for special events such as Weddings, Proms, Stags, Casino trips, Business Events and nights out on the town in Niagara-on-the-Lake and within the Greater Toronto Area and Southern Ontario. Our Niagara-on-the-Lake Airport Taxi Services can provide luxury limousines for everything from affordable airport transportation to wedding limos, prom and graduation limo rentals to Casino trips. Call Niagara-on-the-Lake Airport Taxi Service by Toronto Airport Taxi the next time you need courteous, professional, reliable luxury airport ground transportation in beautifully maintained late-model luxury limos. Try Niagara-on-the-Lake Airport Taxi Service! Our Airport Taxi/Limo/Shuttle service provides Airport Taxi Service to/from Niagara-on-the-Lake and the neighboring communities of: St. Catharines Airport Taxi Service, Niagara Falls, Welland, Thorold, Jordan, Grimsby Airport Taxi Service, Pelham. Call Us! Our Niagara-on-the-Lake Airport Taxi Service would be pleased to offer our airport taxi service to pick you up and shuttle you to/from Toronto Pearson International Airport, Hamilton Airport, Niagara Airport or Buffalo Airport. 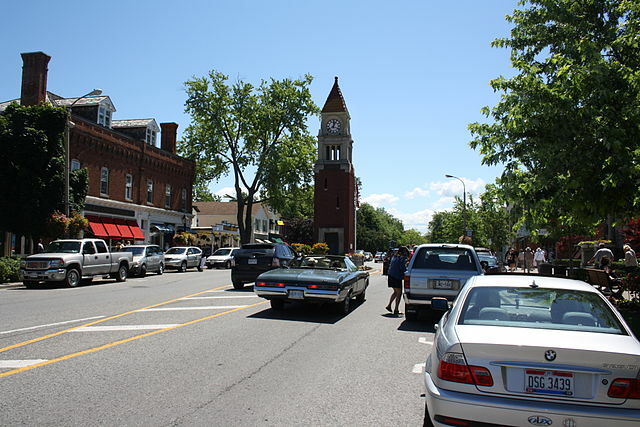 Niagara-on-the-Lake, Ontario is a town in Ontario, Canada. It is located on the Niagara Peninsula at the point where the Niagara River meets Lake Ontario, across the river from New York, United States. Niagara-on-the-Lake is in the Niagara Region of Ontario, and is the only town in Canada that has a Lord Mayor. It has a population of 17,511 (2016). Niagara-on-the-Lake is important in the history of Canada: it served as the first capital of the Province of Upper Canada, the predecessor of Ontario, called Newark from 1792 to 1797. During the War of 1812, the town, the two former villages of St. David's and Queenston, and Fort George were the site of numerous battles following the American invasion of Upper Canada, and the town was razed. Niagara-on-the-Lake is home to the oldest Anglican and Catholic churches in Ontario, and the oldest surviving golf course in North America. Today, Niagara-on-the-Lake draws tourists with its quaint colonial-style buildings, the Shaw Festival, Fort George, wineries, an outlet mall on the highway, and its proximity to Niagara Falls. The Niagara Region has the second-highest percentage of seniors in Ontario. Niagara-on-the-Lake has been rated among the best places to retire in Ontario according to Comfort Life, a publication for seniors. "The Niagara-on-the-Lake Effect" is a feeling that many people describe as unique to Niagara-on-the-Lake. It's a feeling that's difficult to put your finger on, but it all starts with our agricultural roots, stunning vistas and our Heritage District — the centre of the Town's shopping area, home to Landmark Shops. The Heritage District showcases the Town's history and the buildings tell the story of the architecture of years past. Choose Niagara-on-the-Lake Airport Taxi as your preferred transportation provider for all your business and personal travel needs in and around Niagara-on-the-Lake, Ontario. Our Niagara-on-the-Lake Airport Taxi Service is always courteous, friendly, professional and reliable. Toronto Airport Taxi also provides St. Catharines Airport Taxi Service and Grimsby Airport Taxi Service.